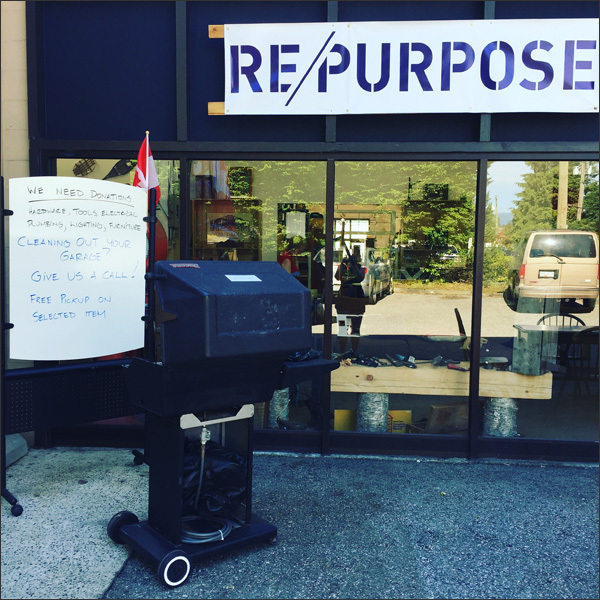 There's another hot spot for finding your refinishing/upcycling needs - it's RE/PURPOSE at 493 Mountain Highway in North Vancouver. RE/PURPOSE is dedicated to reducing the levels of construction, deconstruction and other wastes entering our landfills and incinerators through their redirection back into the community as useable items or as raw manufacturing materials. 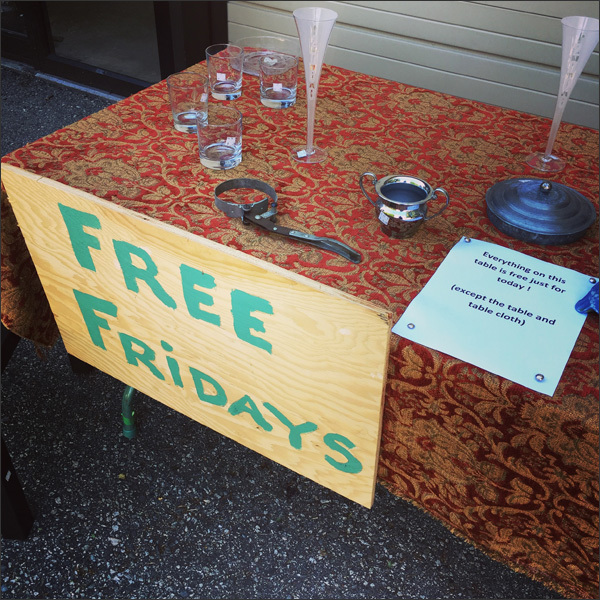 Basically they have awesome stuff to relove, upcycle and enjoy! 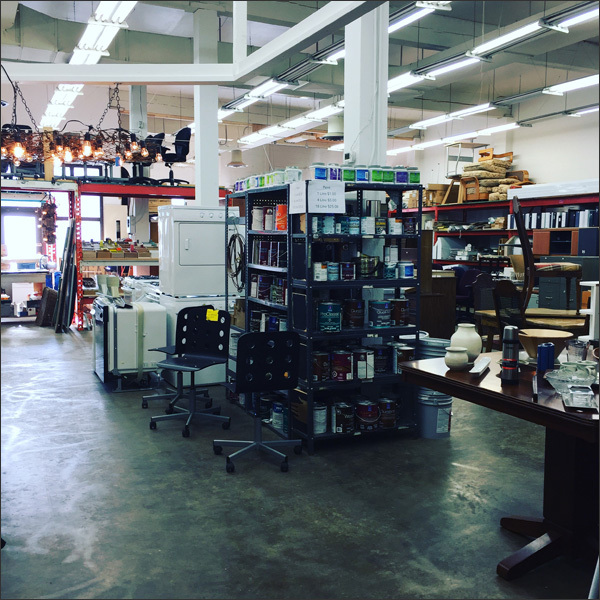 It's a big space filled with home decor pieces, furniture, tools, etc. There's something for everyone! 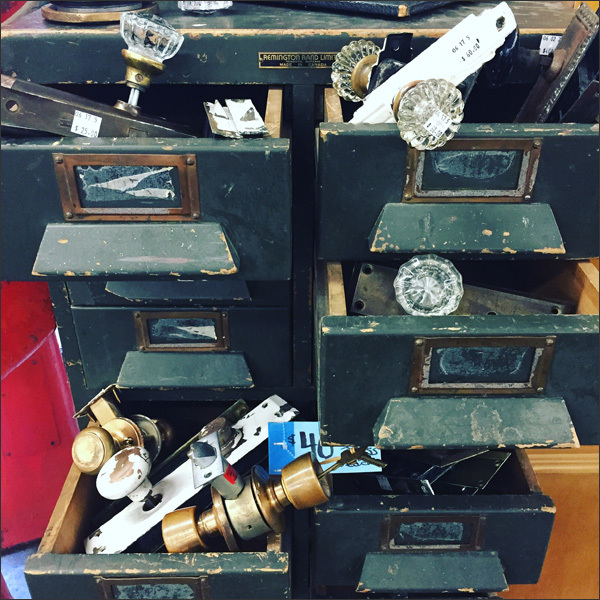 Vintage drawer pulls and door knobs are one of my weaknesses! 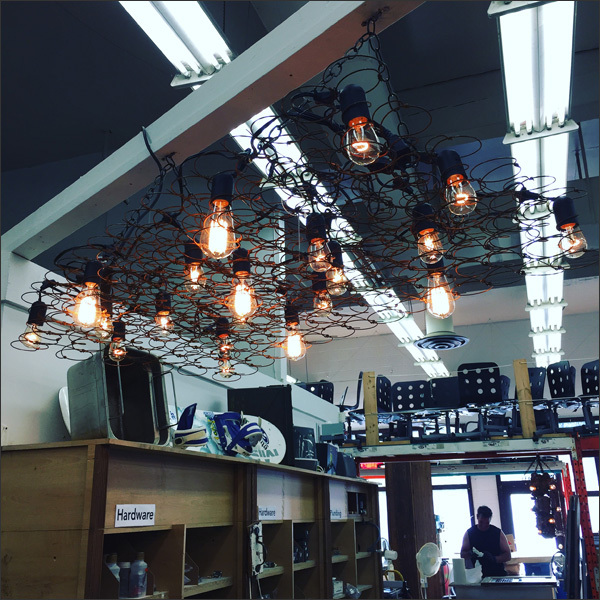 They're hoping to set up workshops in their space and showcase one-of-a-kind creations made in-house like this bed spring chandelier. 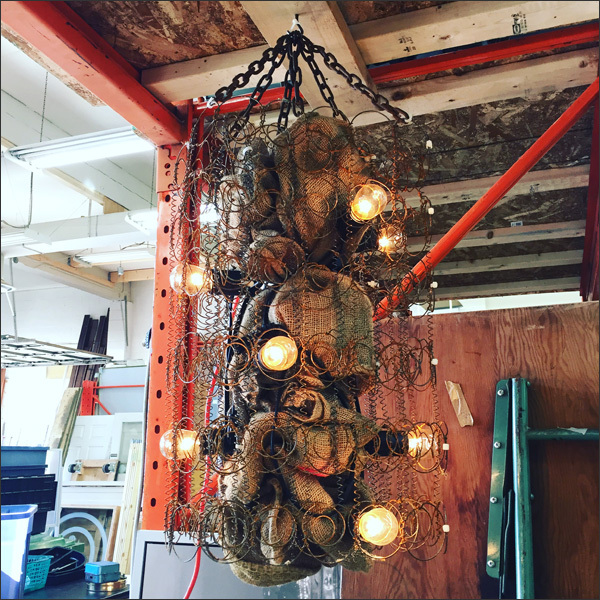 Burlap, bed springs and lights can make upcycling magic happen! Here's another upcycled bed spring light fixture. 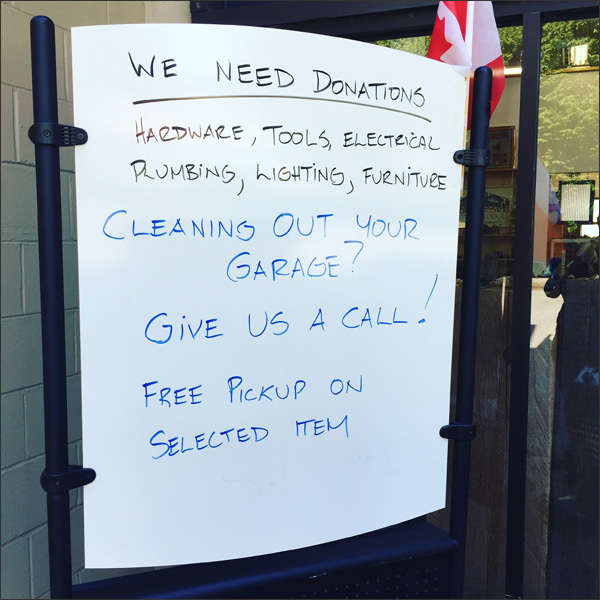 Or drop off your stuff to be reloved or refreshed by somebody else. Here he is - this is Tom. He owns and runs RE/PURPOSE. 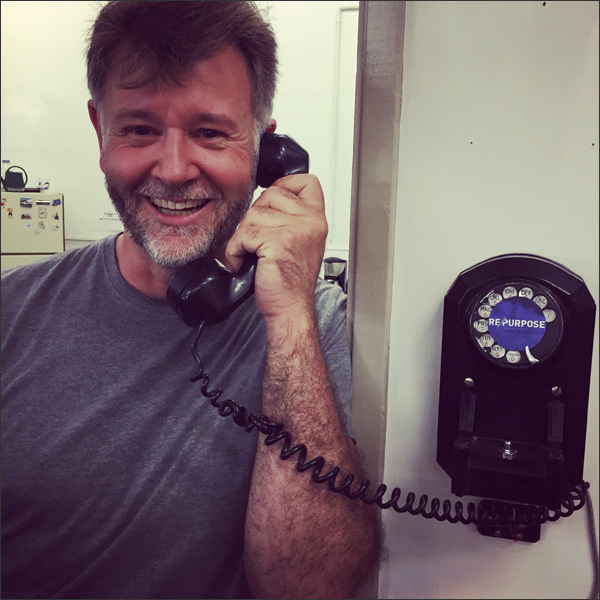 Drop by, check out the store and get to know Tom. He's super duper FAB! Stay tuned! There's a big event happening at RE/PURPOSE in September. You get to check out the store, they'll be demos, local makers and fixers to connect with and more. Before then definitely drop by. RE/PURPOSE is one very kewl kid!